I adore peppers. And pickles. 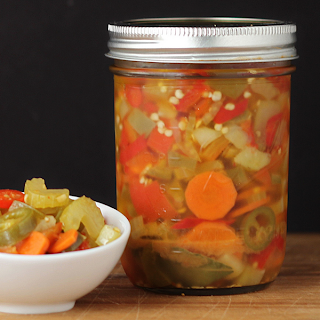 When it comes to pickled peppers, there are a couple types - and brands - that I like. And then there are all the others. 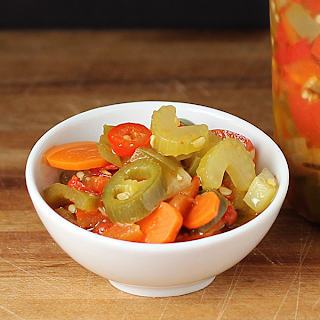 When it comes to pickled bell peppers, I make them in a simple vinegar pickling solution. But when it comes to hot peppers, I could never find a recipe I liked better than the commercial ones. I thought maybe it was the type of pepper. Or the mix of vegetables. Or the type of vinegar. Or the spices. It took a long time before the lightbulb lit. The peppers I like the best are preserved in oil instead of just a vinegar solution. Aha. When my husband brought home some peppers from a friend's garden, I decided to pickle them. 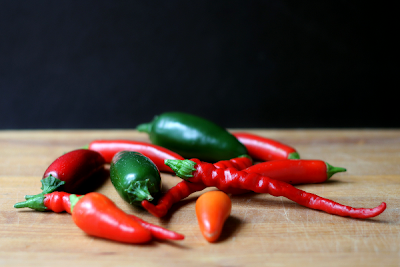 The pepper included jalapeno, serrano, cayenne and cascabel peppers. It wasn't a huge hand full of peppers, but it was enough to make two pints of spicy peppers along with the mixed vegetables I added. You could do this same thing with any mix of peppers to make the mix spicy or mild. And keep in mind that the other vegetables AND the oil become quite spicy. For the hot peppers, you can choose to leave the seeds and ribs in the peppers for more heat, or remove the seeds and ribs for a less spicy mix. Of course, remove the stems. Shoot for about 1 cup of the prepped peppers. The rest of the vegetables should equal about 3 cups or slightly more - they'll pack into the jars a little better after they're cooked. Core the bell peppers and remove the seeds. Cut the bell peppers into pieces no larger than your hot pepper slices. Peel the cucumber and cut into pieces similar to the other vegetables. Put all the vegetables into a saucepan and add all the other ingredients except the bay leaves and mustard seeds. Cook on low heat until the vegetables are tender, but not soft - you still want a little bite to them. Put one bay leaf into each pint jar and add 1/2 teaspoon mustard seeds to each. Fill each jar with the peppers. If there's not enough oil to cover the vegetables in the jars, add more oil - either vegetable oil or olive oil. 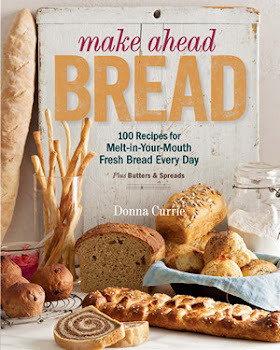 Cover the jars, let them cool to room temperature, then refrigerate.